Good news if you've been waiting for Motorola's first Intel-powered handset to go on sale - it's now available from Phones4U, both online and in-store. 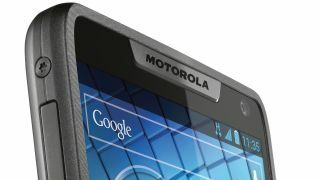 The Motorola RAZRi is available for free on contracts starting at £21.50 a month, though only on O2 from Phones4U. Other operators have announced pricing plans for the handset too though, so don't worry if you're on another network. If you're one of the first 500 to order from Phones4U, you'll get a free pair of MOTOROKR S305 Wireless Stereo Headphones into the bargain. Neat. The RAZRi features a 4.3-inch Super AMOLED 'edge-to-edge' screen - that means the border is almost non-existent, making the phone front practically all screen. Inside is a fast 2GHz Intel processor - that's a first for a smartphone. So swapping between applications should be a breeze. It'll also start up that 8-megapixel camera on the back in under a second, which will mean fewer missed photo opportunities. The RAZRi also has 1GB of RAM, 8GB internal storage, and Android Ice Cream Sandwich. It'll get the jump to Jelly Bean soon as well, which is good news if you want to use new features like Google Now and Google's Advanced Voice Search. It scored a very respectable four out of five in our review. Just a word of warning when trying to get your SIM inside: it's very fiddly, so you may find yourself swearing in frustration. A lot.